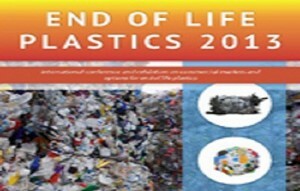 Applied Market Information (AMI), a market intelligence company for the plastics industry, is hosting a conference “End of Life Plastics 2013” from June 4-6 in Cologne, Germany to discuss profitable ways of using post-consumer recycled (PCR) materials. One of the top companies in trading recycled plastics is Gemini Corporation and the President, Surendra Borad Patawari, is a leading figure in solid waste management. The industry has broader economic benefits, for example in the US there has been significant job creation from recycling as reviewed by the Southeast Recycling Development Council. Besides recycling and material recovery, plastics are an excellent source of energy in waste to energy incinerators, which are well established in some cities. More recently plastics have been viewed as a source of chemicals following processes such as pyrolysis to syngas, leading to the possibility of complete closed loop recycling. Klean Industries with an HQ in Canada develops plant worldwide for chemical and energy recovery, which it claims are very economical to run. There are advanced technologies for recovering monomers from specific plastics including PVC (solutions from SolVin) and polyurethane. H & S Anlagentechnik has chemical recycling technology to recover PU foam. The latest announcement in this field comes from 3M Advanced Materials, which is working on fluoropolymer recovery. There is a range of ways to recover plastics materials and some of these are more highly developed in specific areas. For example, PET bottle recycling is now fairly well established thanks to the brand owners like CocaCola and Nestle with advanced programs and partners. One of the biggest PET bottle recyclers is Artenius PET Packaging Europe (APPE) based in France. Biffa Polymers has just made a big breakthrough in HDPE milk bottle recycling back to food-contact grade plastic. The wider picture of waste collection and packaging recycling has been studied recently by Plarebel in Belgium and Eco-Emballages in France. There is extensive testing to make sure that recyclate is safely used in sensitive applications like food-contact.